TVS launched the Star City+ Kargil edition, a special colour update to honour the Indian soldiers. The motorcycle gets a unique camouflage colour scheme adorned on three new colours -- white, green and blue. It is a lmited edition series with the bike now priced at Rs 54,399 (ex-showroom Delhi), slightly over a 1000 Rupees more than the regular Dual Tone variant which comes with linked-braking. The styling of the bike is similar to any modern commuter motorcycle with a bikini fairing, single piece headlamp, alloy wheels, sculpted fuel tank and the works. But owing to the snazzy graphics and the use of chrome on the exhaust shield and the 3D logo, the Star City+ is striking for a commuter offering. The Star City+ has an analogue dial for speedometer and a digital fuel gauge along with a service indicator and typical TVS, eco and power mode indicator. Switch gear quality of the motorcycle is fantastic and wouldn’t seem out of place on a more expensive motorcycle. Build quality and paint finish is also impressive and the bike is solidly put together and this has slowly becoming a hallmark of TVS products. Riding posture is upright in typical commuter fashion while the fuel tank recess mean that one can snugly hold the bike with your thighs. Powering the motorcycle is a 110cc displacement motor that generates 8.4PS at 7,000rpm and 8.7Nm at 5,000rpm. Power is transmitted via a 4-speed constant mesh gearbox that performs satisfactorily. Suspension duties are handled by telescopic front forks and hydraulic shock absorbers at the back. The softly sprung suspension setup means it glides over undulated surfaces but the bike feels a bit spongy and wallows while cornering at high speeds. Braking is done via drum brake at front and rear and they do a decent job in shedding speeds but disc brake should have been offered as an option. TVS claims mileage figure of above 65kmpl for thr Star City+. TVS Star City Plus prices start at Rs. 46,053 (Ex-Showroom) and the top end variant TVS Star City Plus Kargil Edition is priced at Rs. 54,399 (Ex-Showroom). TVS Star City Plus is available in 6 variants and 11 colours. Share your experiences with Star City Plus? The claimed ARAI mileage for the TVS Star City Plus petrol is 86 kmpl. The TVS Star City+ is a comfortable and well sorted entry-level motorcycle. Q. I already Star City user, now I want to purchase a new bike, I am confused about Passion Pro or Star City Plus, please help me. Q. TVS Star City Plus vs Discover 110 which is best? Q. Which is best bike HF Deluxe or Discover 110 vs Star City Plus? Q. Is it best in Suspension? Yes it's suspension is good even after 30kms. Q. 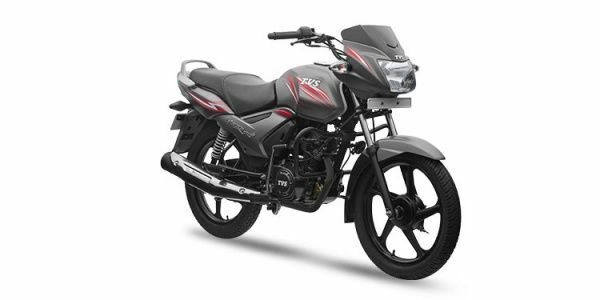 Which bike should I buy Hero Splendor Plus or TVS Star City Plus? 8,000 kilometres later, the TVS Star City remains as sprightly a commuter as ever, albeit a little frayed at the edges. With the right combination of adequate comfort, a refined engine and decent styling, at an extremely affordable price point, the TVS Star City+ is indeed a well-rounded commuter offering. Confused about TVS Star City Plus?